The combination of ageing and inflation implies a more expensive life with little to no income for seniors especially over the age of 50 Years. While life insurance plans such as term life insurance can help the beneficiaries get a lump sum pay-out during the event of the policy holder’s death, most seniors and their families fear the cost of senior’s life insurance plans. Yes, life insurance companies do offer various types of insurance plans to seniors who are between the ages of 45 years and 75 years, you can visit https://seniorslifeinsurancefinder.com. However, these plans can cost a pretty penny unless certain guidelines are followed while selecting, reviewing and renewing the chosen coverage plan. 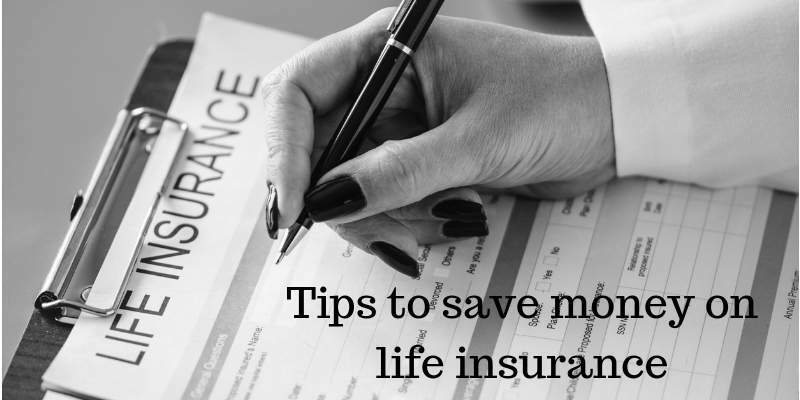 Continue reading to know 5 tips that can help you save money on life insurance while choosing a suitable coverage plan for your parents. A few of the choices that insurance providers might offer you include, term life insurance, trauma insurance, modified TPD insurance, funeral insurance and living expenses cover. Using your family’s current situation, as a guideline to choose these plans can help you avoid wasting money by choosing the wrong plans. For instance, if your parents have mobility issues or other health issues that cause them to need assistance in emergencies, then opting for trauma riders can add value to your policy. If your parents have any unpaid debts such as mortgages, then choosing a policy that will aid in covering such end of life expenses will benefit your family immensely. Choosing the right plan by understanding your future needs will ensure two things, the first is that you do not waste money while buying a plan that is not suitable for your family’s situation; the second is that you understand the right amount to adequately insure your family. When in a budge, the most opted choice is to under-insure, but this choice can imply financial problems in the future when debts and unpaid bills have to be cleared. Changing circumstances may include your parents’ past decision to re-mortgage their property that will have to be paid off when they are no longer around to make repayments. Another example would be, your parents needing constant medical assistance that might increase with time. In such scenarios, life insurance policies can ensure that your parents do not have to worry about unpaid debts, bills that have piled up over the years as a lump sum amount will be paid to the beneficiaries shortly after their death. The key factor to note is in order to save money while buying life insurance for your parents is the ability to pay premiums without the policy lapsing due to non-payments. CPI plans, ensure that your plan is subject to inflation, however, with time the premiums will increase at a steady rate. Choosing to opt out of the CPI feature will ensure lower premiums but also a lower pay-out rate depending on the inflation rate per year. Insurance providers follow a simple strategy that causes premiums to bump up significantly every year. The older the policyholder is, the higher the premiums will be. Another common tactic used by insurance providers is, to offer policies with higher premiums for men as compared to women. The justification for these common insurance practices can include statistics that show, older policyholders are at a higher risk of developing serious health issues as compared to younger individuals and men are high-risk candidates at certain ages, as opposed to women. This, however, doesn’t mean that you jump at the first policy you find online, it just means that the time for contemplation has passed and it is time to compare insurers and act fast. While most policyholders like to play it safe and choose only established insurance providers, it should be noted that upcoming insurance providers can offer the same benefits at lower premiums. The only factor to consider here is their financial rating and their past records of making pay-outs on time. A quick study on the terms and conditions of plans offered by various insurance providers can help you understand which insurer is more likely to make a timely pay-out without causing any hassles. This money saving tip cannot be stressed on enough, as most policyholders fail to read the fine print that clearly mentions hidden add-on costs, pay-out exceptions and waiting periods before the benefits are handed to the family. If you are in doubt, then make it a point to clarify the fine print with the selected insurer before you accept the terms and conditions. By following these money-saving tips while buying senior insurance for your family, you might save anywhere from a few dollars a term to a lot more by not wasting money on the wrong policy. In case your parents have any pre-existing medical issues or are smokers, heavy drinkers, ensure that you choose a plan with the guaranteed renewable clause in place to avoid any future hassles at the time of renewing the life insurance coverage plan.